In the day to day running of your salon business you inevitably use a variety of tools, from a humble pair of scissors or straighteners, to the latest health and beauty products. But there may also be ‘virtual’ tools out there in the online world of the internet that can help you to manage your business more effectively, or which can provide innovative solutions to common problems. 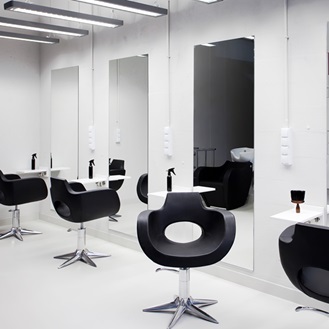 Here we take a look at six such online tools for salons which may be of benefit. Salonlite – Salonlite is a useful free piece of software which enables you to quickly schedule and keep track of all your appointments at the press of a few buttons. Because it’s cloud-based, you can even keep track of your appointments when on the go – particularly handy for mobile hairdressers or beauticians. Vagaro – Vagaro offers a comprehensive package of tools which salons can use to promote themselves, track appointments, handle bookings and more. One particularly useful feature is the ability to send SMS text and email notifications to customers so that you can quickly and easily remind them about forthcoming appointments. Other features include the automatic creation of a website to highlight things like opening hours, service menus and promotional offers. UKHairdressers.com salon search – A simple but effective searchable online database which enables consumers to search for all salons in their local area, or any other area of the UK for that matter. Salons meanwhile can quickly add their contact details and other relevant information to the database for free. By registering online on the website you can also add customer reviews and a location map with directions so that new customers don’t have trouble finding your salon. The Hairstyler.com – If you’ve got a customer who isn’t quite sure what style of hair they want to go for, or you just want to brush up on the latest trends and hairstyles, the Hairstyler.com’s searchable and categorised database of hairdos should provide plenty of inspiration. The site features more than 10,000 hairstyles, and allows users to upload their own pictures and see what they’d look like with a particular hairstyle. The website also has a database of salons in the UK that you can add your business to for extra exposure. ProSolutionsSoftware – is designed for use by salons, spas, resorts and similar businesses. As well as incorporating an appointment scheduling system, the software includes the ability to create and update a file for each of your clients, so you can keep track of your most important customer relationships. Other highly useful features include stock keeping, point of sale functionality, financial reporting and online analytics. The software also includes a virtual personal assistant called DARCI, who can automatically perform timesaving functions like sending marketing messages, sending appointment confirmations and email rotas to staff. Easy Salon Bookkeeping – If you just want an easy and intuitive way to keep track of your finances, taxes and other monetary matters relating to your salon, Easy Salon Bookkeeping can provide you with a range of purpose-made spreadsheets which you can download instantly to use. Spreadsheets are available for use in Microsoft Excel and with the free Open Office suite of software. When it comes to arranging your salon insurance, don’t forget to give Park Insurance a call. We’ve got more than two decades of experience in brokering the best deals on salon insurance and other types of specialist commercial insurance.